Sequencing is important as it helps a child comprehend what is read and identify with the beginning, middle and end of what they are reading. We have done sequencing with storybooks and with nursery rhymes. 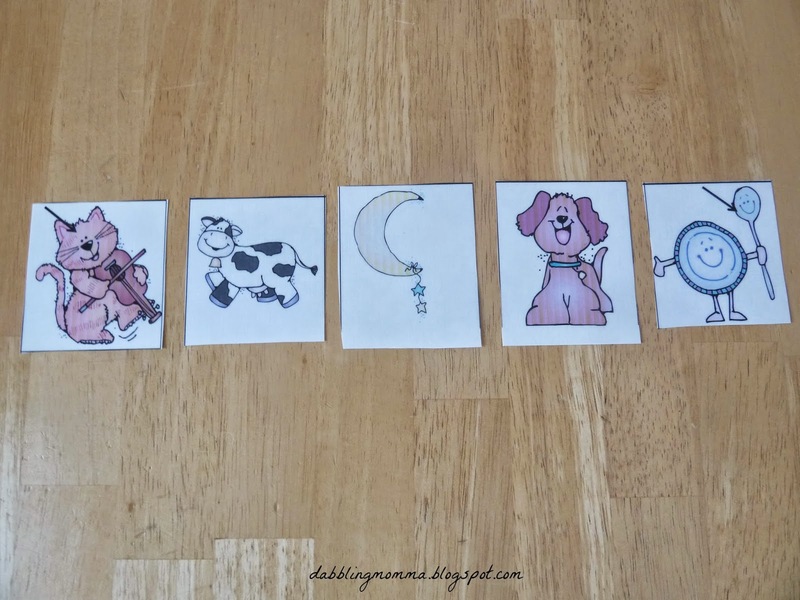 Nursery rhymes are most familiar to children and are a go to for parents, caregivers and teachers so they are a good place to start with a sequence activity. A child's favorite story would also be good to use since the child will be familiar with the story line. 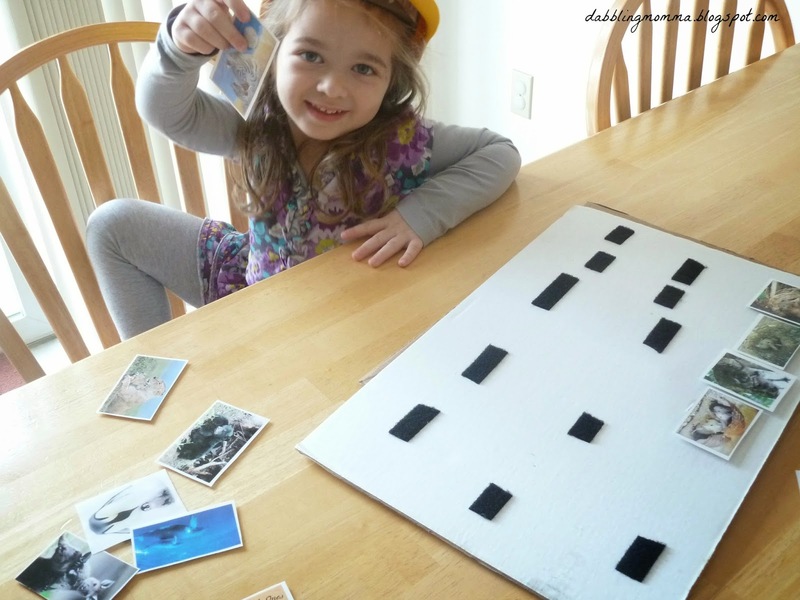 I used a piece of cardboard to make a book board which works very nicely for this kind of activity. 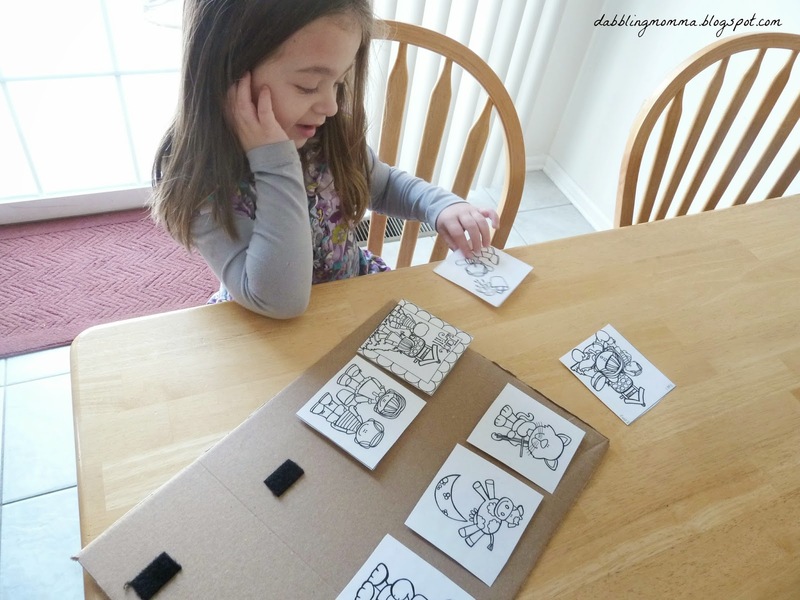 However, using a book board is absolutely not necessary and simply laying out the cards on a table or floor will work just as well! Remember if you are not using a book board simply print some photos or cut from magazines and/or newspapers. Laminating is also not necessary it just preserves the photos. Keep in mind if not using a book board just skip this part. 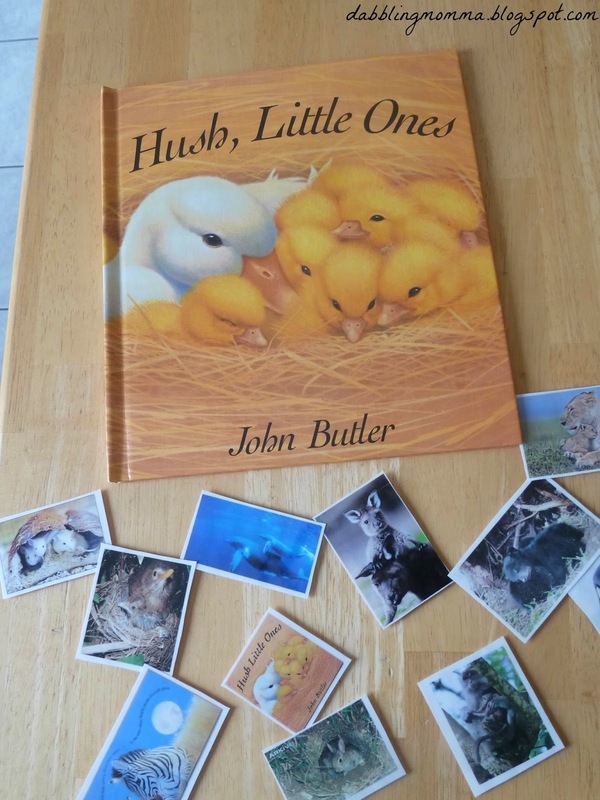 We also used one of our favorite stories, Hush, Little Ones by John Butler. I printed off pictures of the animals in the story and had my daughter arrange the animals in order as they are in the book. 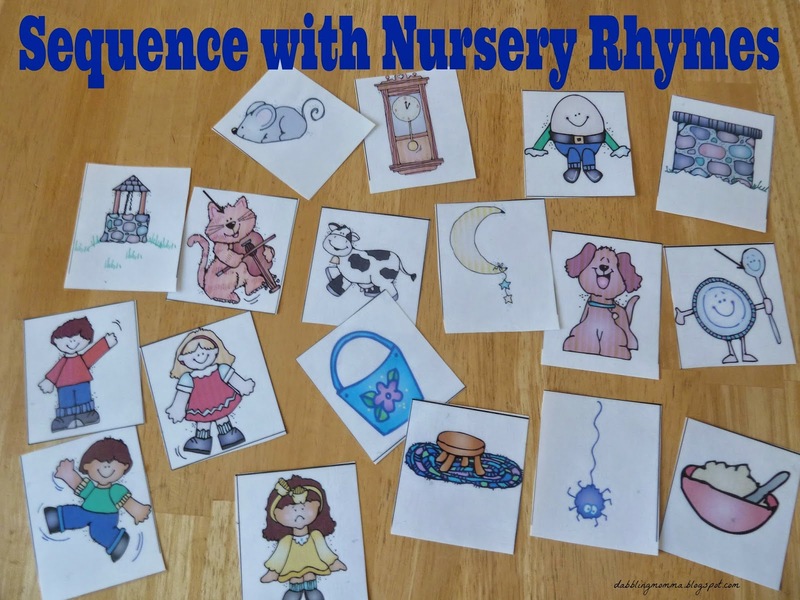 Sequencing does not need to be done only by using nursery rhymes or books. If you don't have a printer to print off pictures, try cutting pictures from the newspaper or magazines and do a picture sequence. You could sequence things like the life cycle of a caterpillar or bedtime routine. Be sure to use words like, "first", "next" and "last". 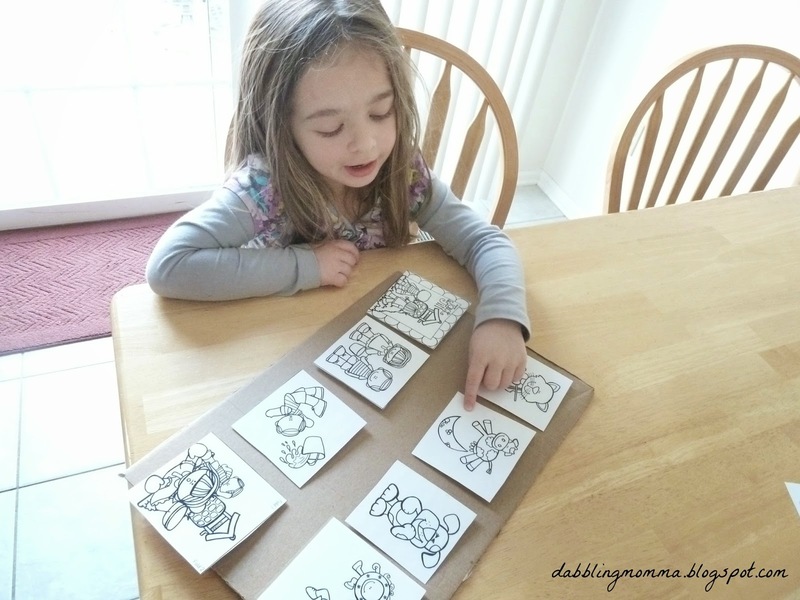 Sequencing might seem simple to teach but keep in mind it is a skill that is carried over to other areas so take the time necessary to ensure your child fully understands.